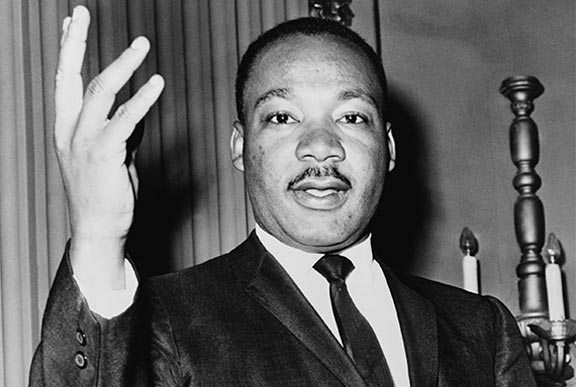 I met Dr. King in the summer of 1964 when I was seventeen years old. He had come to speak to participants of the HARYOU ACT, a mentoring program in Harlem that I was a part of. During a press conference that was covered by all the major news media, I had the opportunity to ask him a question. That same year he won the Nobel Peace Prize, the youngest man ever to receive that honor (I’m not saying there’s any connection between the question I asked and his getting a Nobel Prize, but it is an odd coincidence, you be the judge). He encouraged us to imagine a better Harlem and, beyond Harlem, a better America. I admired him for his courage to advocate change through non-violence, a stance that rarely proves popular among people who have been denied equal opportunities for long periods of time. Yet, he stuck to his convictions, in the face of jail, in the face of doubt from within his own organization, in the face of ridicule from other African-Americans. And the wisdom of his leadership has been proven by the success of the Civial Rights Movement.